Last month, I mentioned the possibility of going to New York because of a manicure I executed. Turns out, it’s happening! My nail art helped me win an all-paid trip to the Big Apple (insert happy dance here). 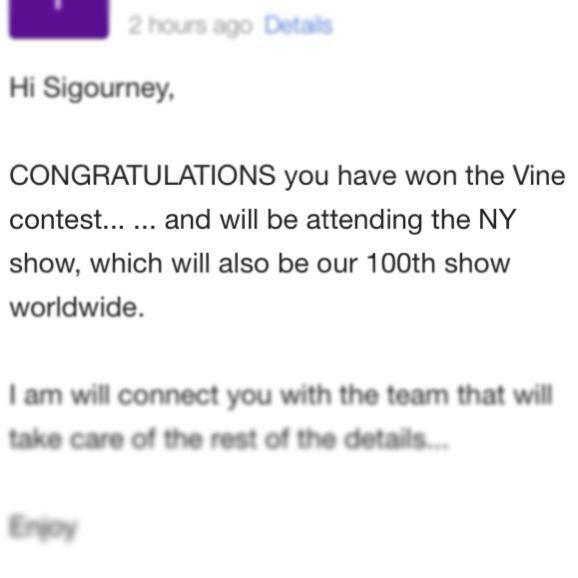 In September, as I got ready to visit San Francisco to attend Sensation’s “Ocean of White” event, I entered the production company’s contest on Vine. Sensation took to the bite-size video sharing platform to promote a contest challenging fans to share a creative video that included music or dancing. My grand prize includes round-trip airfare, a two-night hotel stay and two tickets to Sensation’s 100th show taking place on October 26 at the Barclay Center in Brooklyn. It’s going to be one heck of a party! I was notified earlier this week that I won the grand prize. I am incredibly humbled and so thankful for this generous opportunity. Thank you, Sensation and Golden Voice! Here’s a photo of the grand prize winning manicure.